See the video announcement for the Summer School. The latest Intergovernmental Panel on Climate Change (IPCC) report states that “climate change is clear”. Both the scientific community and the governments participating in the IPCC have accepted and agreed that the world is undergoing significant climate changes. This highly complex global challenge has been on the agenda of policymakers since the first United Nations Conference on Environment and Development (also known as the Rio Summit) held in 1992. 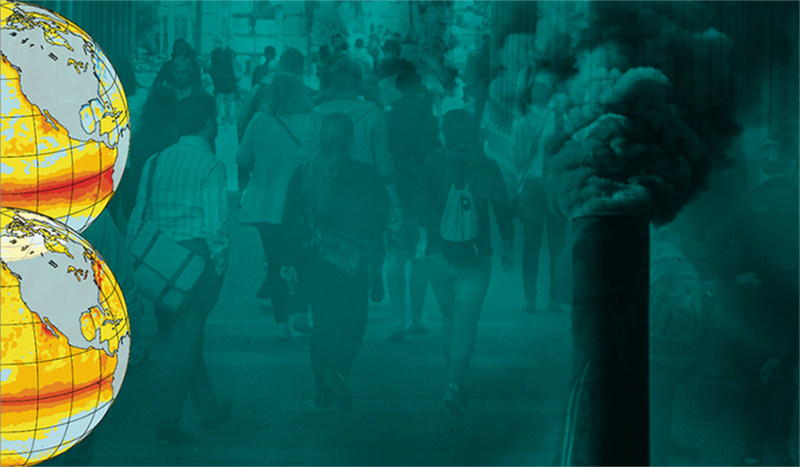 It has become clear that the only way to tackle this immense challenge is by adopting an interdisciplinary approach. Thus, the aim of the 2nd International Bachelor Summer School for Climate Change Research is to bring together highly motivated, open-minded bachelor students (semesters 4 to 6) who are interested in Climate Change Research and are enrolled in any of the following fields of study: natural/climate sciences, economics, social sciences or law. Organized according to a matrix structure, the International Bachelor Summer School will focus primarily on the following areas: The Physical Climate System, Climate Economics, Governance and Knowledge Transfer. It will include traditional keynote lectures, teamwork in workshops and self-study. The keynote lectures held by highly recognized scientists will introduce the participants to basic aspects of the main research areas, allowing them to broaden their interdisciplinary skills and understanding. In addition, there will be a specific lecture on general techniques of intercultural communication. The workshops will give the students the chance to extend and deepen their knowledge in their own field of study. Working in groups of four, and guided by a supervisor, the participants will address specific research topics and subsequently present their findings. At the end of the course, they will take part in a negotiation simulation and hold their own Climate Conference. 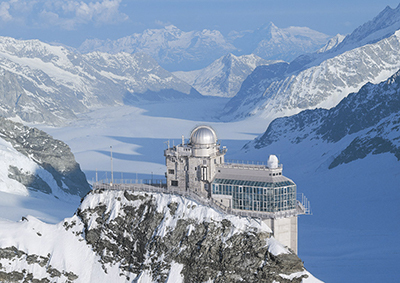 The field trip will be to the High Altitude Research Station Jungfraujoch (at 3500 m above sea level). As well as being introduced to the measurement systems, the participants will see the impact of climate change first-hand at the Great Aletsch Glacier, which has shaped one of Switzerland’s most fascinating landscapes. The course language is English. Participation is limited to 36 students. Successful participants will receive a certificate and will be awarded 6 ECTS (European Credit Transfer System). The course fee is 500 CHF (plus 410 CHF for accommodation in a student residence). Included in the fee are: the field trip, icebreaker, the final Apéro, coffee breaks, supervision and course material. We look forward to welcoming you to this exciting 12-day interdisciplinary course in Bern. The International Bachelor Summer School is supported financially by the University of Bern and co-organized by the OCCR and the WTI.